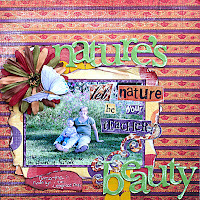 beautiful pages - I especially love the nature's beauty lo! beautiful LO's Lisa!love the colors in the nature's Beauty!i a 4/4 woo hoo that is more than i did in December! !